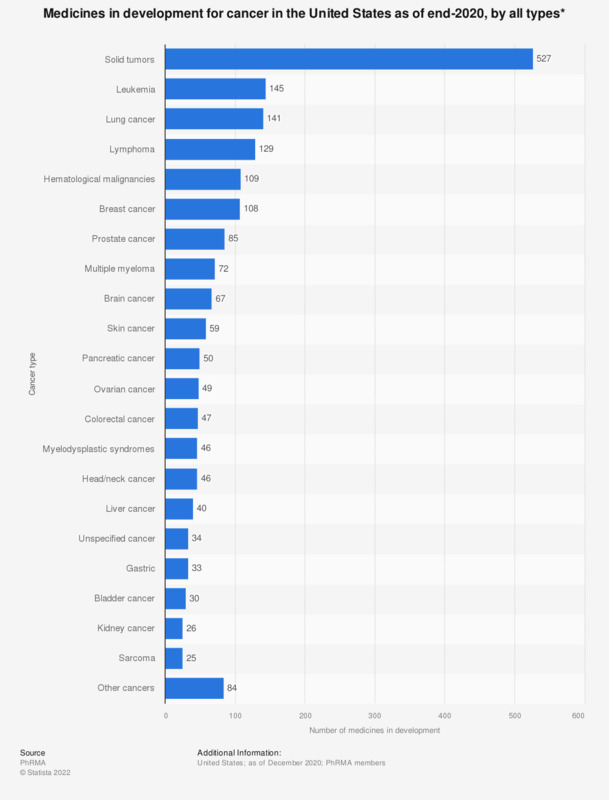 This statistic represents the medicines in development for cancer in the United States as of May 2018. At that moment, most medicines in development concerning cancer were reported for solid tumors with a total of 397 medicines in development. * Some medicines are listed in more than one category. Everything On "Prostate cancer in the U.S." in One Document: Edited and Divided into Handy Chapters. Including Detailed References.